Easter Seals Bay Area, a non-profit organization dedicated to helping individuals and families with disabilities and special needs live better lives, presents their 17th Annual Spring Gala. 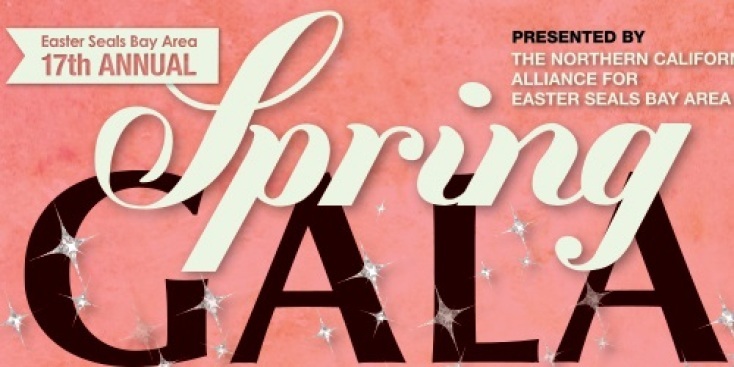 The Spring Gala is a signature black-tie fundraiser to help raise awareness and support for the life-changing work that Easter Seals Bay Area does to help children and adults with disabilities and special needs. Easter Seals Bay Area brings you Keynote Speaker Myrtle Porter, best-selling author and a parent of a son with Asperger’s syndrome. Following the dinner program, see a sensational musical performance by Grammy award-winning singer songwriter, Brandy.